There are a number of people who are fond of chatting. The act of chatting is exciting. Who would’ve thought that meeting and talking to other people around the world is possible. 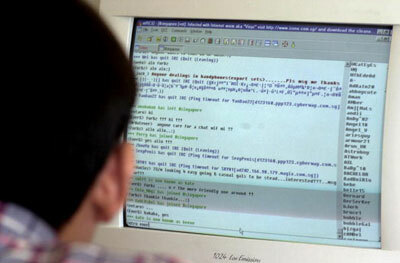 Chat rooms and instant messaging made things easier and more fun. But you should be careful because it poses danger. Sometimes it is hard to identify if you are talking to an actual human being because there are bots that can do the talking. Sometimes you are not sure if the person you are talking to is bluffing. Chatting online exposes you to deceit. If you are talking to a specific person, you are not sure if the conversation is only for the both of you. Other people might see your conversations. If you divulge information, other people will see it and use it to their advantage. If you are talking to a person who is enthusiastic to share a link or a program, you should be wary because they can use it to attack your system and steal your information. If the person is encouraging you to open something, you should not comply. Do not worry because there are ways that you can do to protect yourself against these dangers. The basic thing that you can do is to be mindful of the things that you reveal. Do not just reveal personal information unless you know who you are talking to. If it is a random person, do not divulge banking information and address.